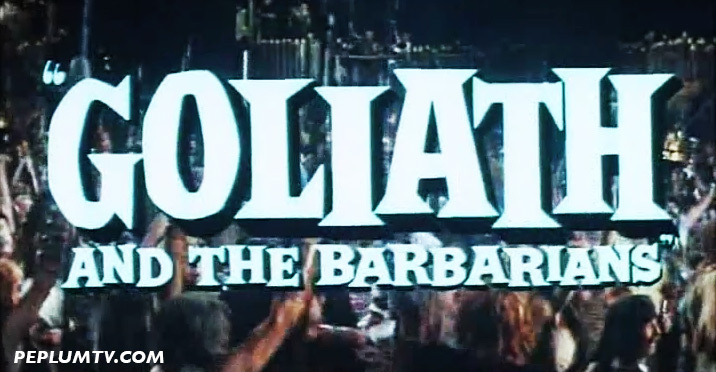 GOLIATH AND THE BARBARIANS (1959) starring Steve Reeves, Chelo Alonso, Livio Lorenzon and Bruce Cabot. Directed by Carlo Campogalliani. I decided to these series for this film after getting the French version. I thought 'Okay, I have all titles from major languages' only to discover that the English title is actually missing. I need to find a copy now. The original Italian version, which is also the most common version available. The English and Spanish copies have the Italian title. No mention of Goliath in this title. The French title translates as The Terror of the Barbarians. No mention of Goliath. 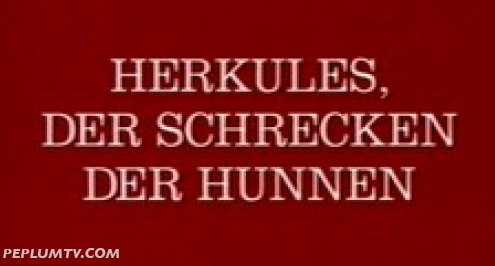 The only English title available is from the trailer.